As of 2017 Polish composer Jerzy Bielski will be artist in residence at Gaudeamus. As such he will get an intensive working period for his expressive music theatre productions. Bielski’s residency is supported by a Nieuwe Makers grant from the Fonds Podiumkunsten. Jerzy Bielski is one of the talented young music pioneers Gaudeamus Muziekweek has been closely monitoring. 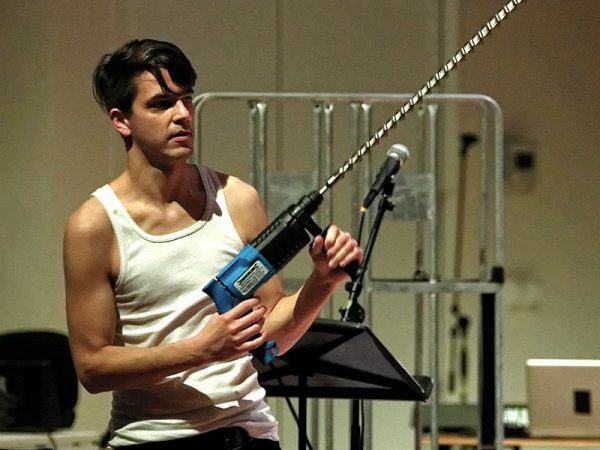 At the festival 2015 his performance (not only) Futurists, for which he won the Amsterdam Fringe Award, was on the programme and in 2016 his music theatre production, with the wonderful title + – /, 1 = _; X%, was performed.